This website was created for a successful music school in Marysville, Ohio. 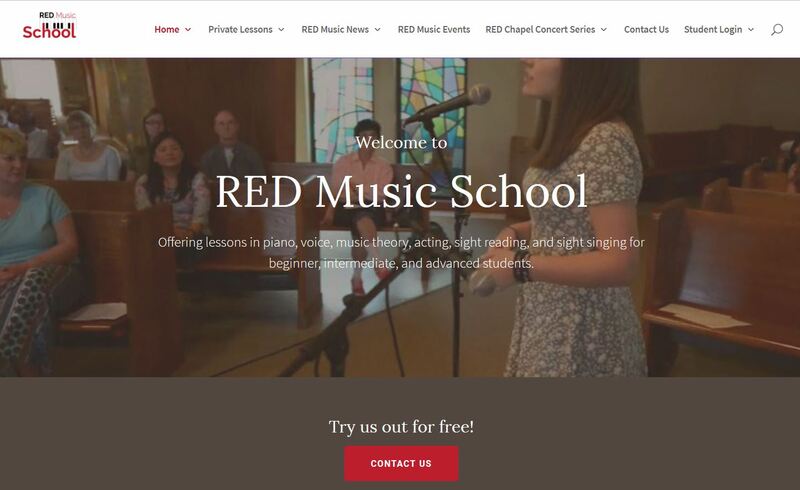 The owners of RED Music School, Chelsea Hart Melcher and Paul Melcher, wanted a website to not only attract new students but also to provide tools to help with the day to day management of their school. I think together we created a site that accomplishes those goals. Not only do we feature all that they offer as teachers and performers but also provided special student login pages that lead to school resources and lesson payment options.